Buying property can be a thrilling time in a person’s life, but it also can cause great stress and many challenges. These issues are often worse when unexpected problems arise in a unit shortly after moving in. Typical headaches for new property owners include structural defects and the presence of various pests, especially those that tend to occupy wooden areas including timber. If you want to move into a new building worry-free, you ought to have it checked out before you make your purchase. The easiest way to accomplish this is to arrange for building inspections in the Mornington Peninsula area. Building and pest inspections in Mornington Peninsula provide prospective buyers with trustworthy and impartial sources of information on the properties in which they’re thinking about investing. These pre-purchase inspections offer Mornington Peninsula residents an easy way to see exactly what kinds of challenges they’re likely to face with a new home so that they can take steps to remedy the problem—or avoid getting roped into a deal by an owner who should have disclosed such information beforehand. Finding a company that can provide thorough and accurate property inspections in Morningside Peninsula doesn’t have to be difficult, either—all you need to do is look for experienced professionals in the area. 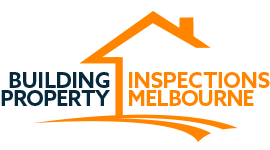 You can find some of the most professional inspectors anywhere near Morningside Peninsula by contacting Building Property Inspections Melbourne, a company established in 2005 by inspectors with over 25 years of experience. We offer detailed reporting, quick service, and cost-effective methods that keep our customers well-informed and the properties we look at protected. If you’re worried about structural defects or pests in your property, give yourself the gift of clarity and get a clear picture of your situation by contacting us. The information you receive will help you make an informed buying decision if you’re thinking about purchasing a property. It can also help you maintain the building you already own. Many sellers may not be aware of problems in their buildings—they may assume that the structure is fine just because it always has been, or they may be trusting an old inspection report that has since been rendered obsolete by recent occurrences. In any case, you should always have your own inspection conducted before you tie yourself to a building financially. This kind of thinking can save you in case the person selling the property makes an error, or leaves out details intentionally. At Building Property Inspections Melbourne, we owe our success to our total impartiality when conducting an inspection. We’re not on anybody’s side—our only loyalty is to the truth. That’s why you’ll always be able to rely on us for an accurate explanation of the building we’ve been called to check. When you’re ready to find out more about our services or book us for a pre-purchase inspection, contact Building Property Inspections Melbourne and discover why so many rely on us throughout Mornington Peninsula and beyond.